Location, lifestyle and amenities define these one-of-a-kind, Portland, OR apartments. 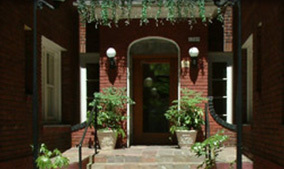 Rose City Apartments includes three historic buildings with apartments to rent in Portland, Oregon. Listed on the National Register of Historic Places, The Gentry's original fixtures, built-ins and natural wood preserve a classic elegance simply not found in other buildings. Every studio and one-bedroom apartment has hardwood floors, a claw foot bathtub with shower, and many include spacious walk-in closets. Built in 1927 and also listed on the National Register of Historic Places, this gem is Portland's only authentic Art Deco style apartment building. Stylish studios and one-bedrooms have modern kitchens and baths and include fresh, wall-to-wall carpeting or hardwood floors. The Commodore also has sauna facilities and a roof deck. After going through the secure, gated entry enclosing a sprawling courtyard, you'll walk the regal halls of this newly carpeted and updated, classic brick building. All 61 spacious studio apartments have separate kitchens with full-size ranges. There are many choices for cheap apartments in Portland, Oregon, but quality, cheap housing in downtown Portland can be difficult to find. 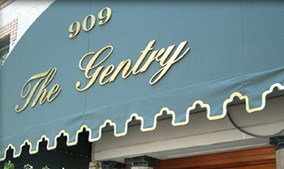 At RoseCityApartments.com, we offer exceptional value with on-site management and prime locations. It’s hassle-free living at its best. Walk to work, classes, bus/rail, shops, farmers markets, movies, museums and more! Hardwood floors, walk-in closets, Wi-Fi wireless Internet access, on-site laundry facilities and secure bike rooms are just a few of the many features making Rose City Apartments some of downtown Portland, Oregon’s most sought after spaces. All three of our buildings are smoke-free and pet-free. The only question is . . . Which classic building is the right match for you? 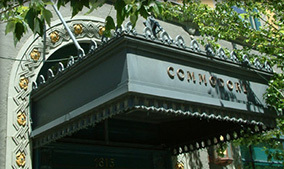 The Gentry, The Commodore and The Winston have apartments to rent in Portland and are located at the edge of the Goose Hollow neighborhood and central to the Pearl and exclusive NW shopping districts. Many unique attractions are right at your doorstep. 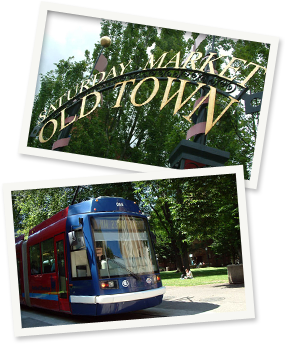 Within a ten-block radius, you can shop at Nordstrom, Nike, Pioneer Place and other downtown stores; take in a show at the Keller Auditorium, the Portland Center for the Performing Arts, the Roseland Theatre or one of the more than 20 cinema screens; or indulge your cultural side at the Portland Art Museum and the Oregon Historical Society museum. PGE Park offers sporting events and serves as a concert venue nearly year-round. All this is just steps away when you live at one of our distinctive buildings. Come discover the hidden treasures of our Rose City Apartments today, and see why they are the top choice for downtown apartment living in Portland, OR. Call or email us today so we can introduce you to the finest in downtown living.